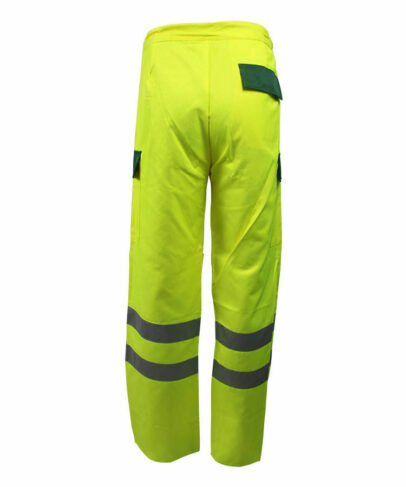 This fluorescent yellow water repellent trousers made of 320gsm 65% polyester 35% cotton water repellent fluorescent fabric, and can meet EN ISO 20471, AATCC22, ISO 4920 and other standards. 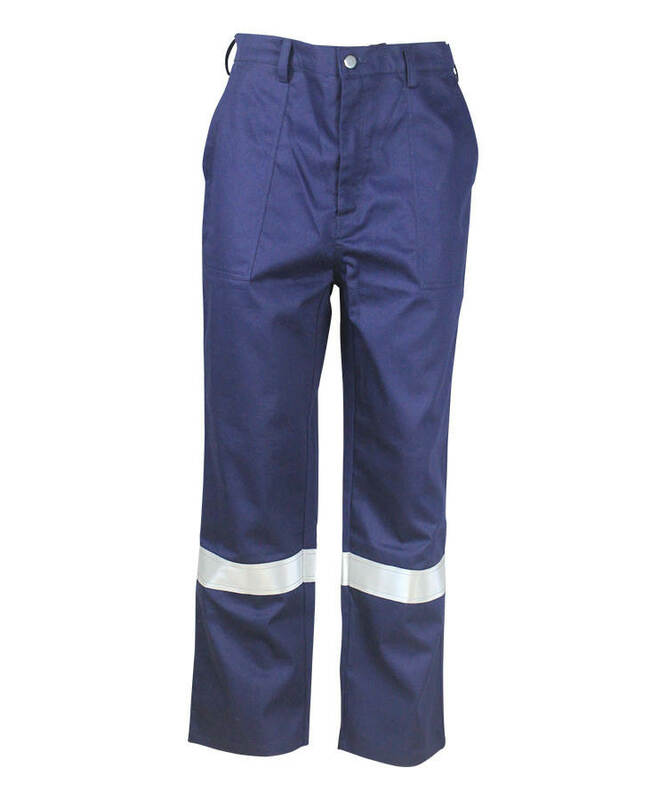 This fluorescent yellow water repellent trousers mostly used in railway, chemical, metallurgy, electrofacing, dyeing, paper making, oil industry etc. 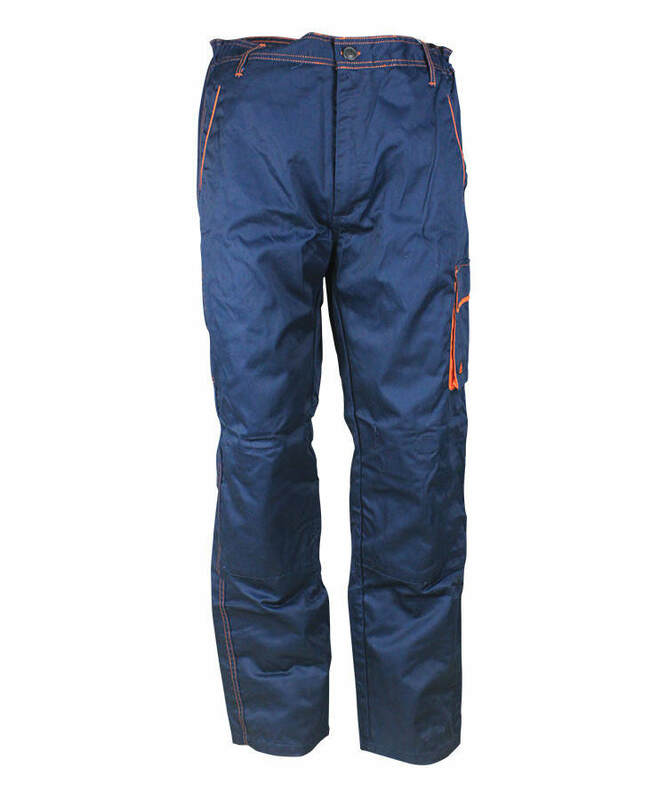 This fluorescent yellow water repellent trousers is a good choice in autumn and winter. 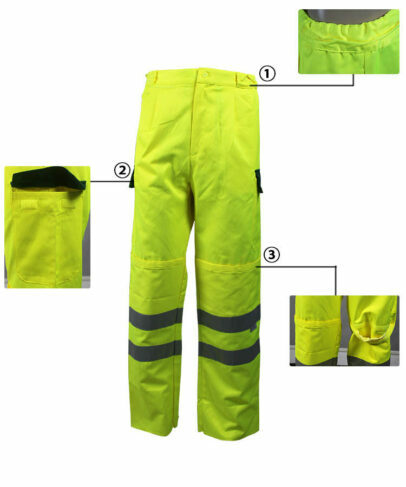 Fluorescent,water proof,and there are many colors available, fluorescent yellow and fluorescent orange color fabric is very bright,thus makes workers easy to be found when working in the dim environment, will protect the safety of workers. There has an elastic band on both side of waist to adjust the length, 7 pant loops on waistband, jeans button closure on waistband center. 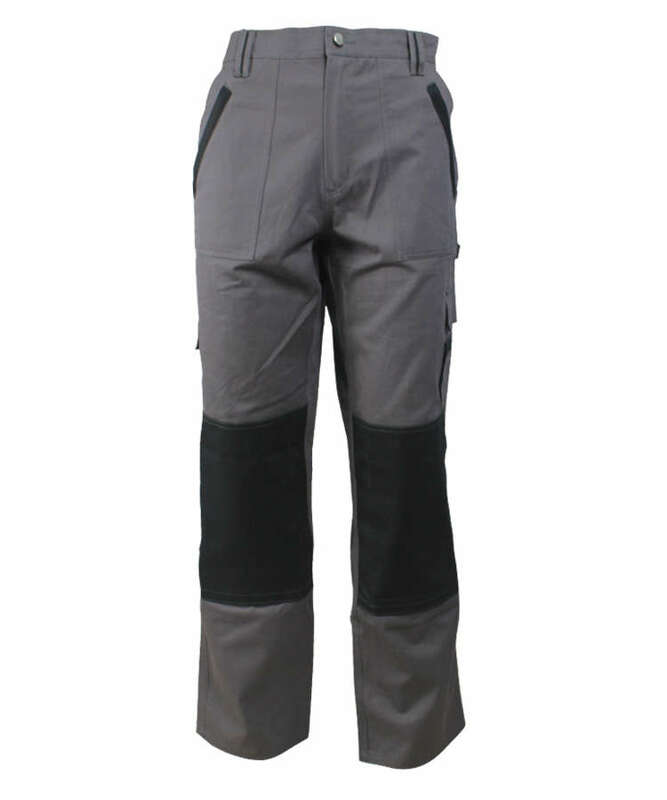 There has a knuckle patch pocket + contrast color flap on both side seams, with Velcro closure. There has knee pad with opening on top edge, Velcro closure. 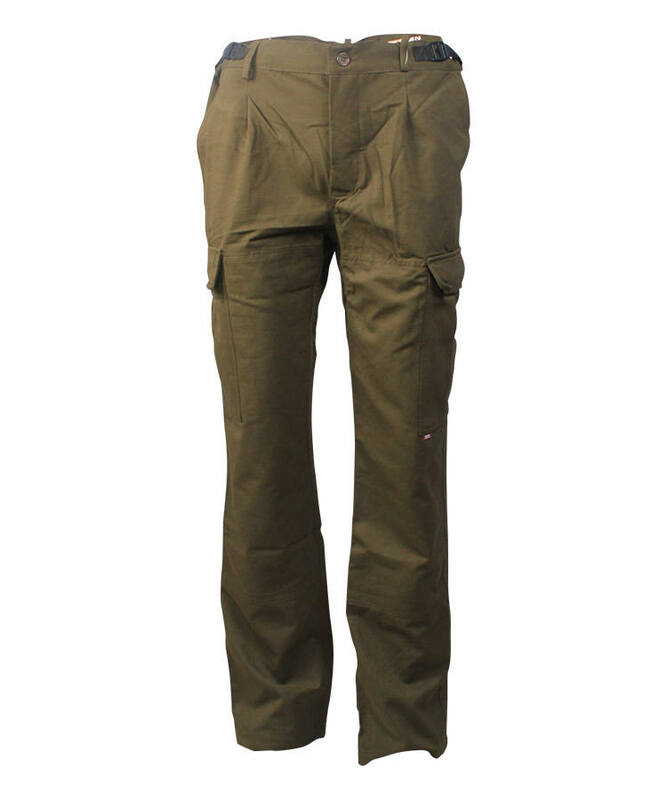 There has one pleat on the fluorescent yellow water repellent trousers left and right front side. Slant pocket on side seam. One watch pocket on right front piece. 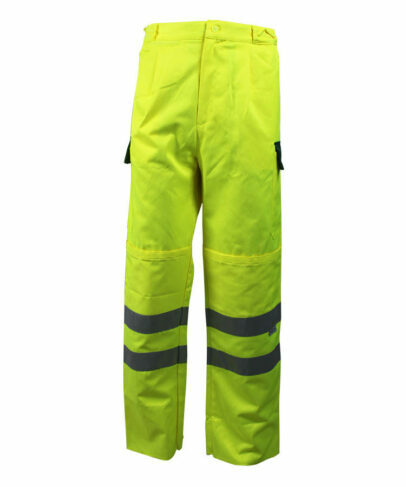 There has pleat on the fluorescent yellow water repellent trousers back side, one pocket + contrast color flap on right hips. Two 5cm reflective tape on each leg. Double stitch on front fly, zipper closure. Fix with bar tack in all the forced point.